Heidi joined View Ridge Care Center as its Clinical Coordinator in early 2018. With more than three decades of nursing experience, she brought with her an extensive knowledge base and skillset. In this capacity, her primary responsibilities are staff development and infection control. Heidi is a licensed registered nurse and is certified in advanced cardiovascular life support. In her free-time, Heidi enjoys gardening, hiking, and traveling. She is married with three children, two grandchildren, and has a dog named Shadow. Angela has coordinated the physical, occupational, and speech therapy services at View Ridge Care Center as its Director Rehabilitation since August 2017. Collaborating with facility nurses and all departments, she works to ensure a team approach when serving her clients and their families. 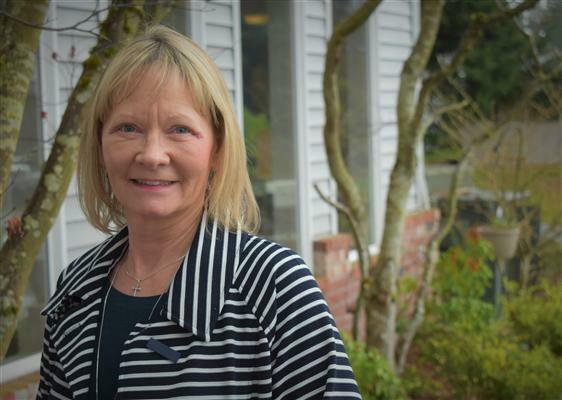 Angela offers a depth of knowledge and understanding to her patients at View Ridge Care Center, bringing with her more than two decades of experience specializing in Geriatrics. She previously worked as an Occupational Therapist in a skilled nursing facility as well as with Home Health. Angela received her Bachelor of Science in Occupational Therapy from the University of Illinois-Chicago, while continuing her education with courses for professional development and State licensure. When she’s not at work, one can often find Angela horseback riding, gardening, or traveling. She adores animals and has a fantastic dog named “Lettie.” Her loving mother and uncle reside back in Illinois where she grew up; sister and family live in Ft. Meyers, Florida; a nephew, who is a 2nd Lt. in the U.S. Marine Corps, currently stationed in Quantico, VA; and a wonderful boyfriend and his family who live here, locally. 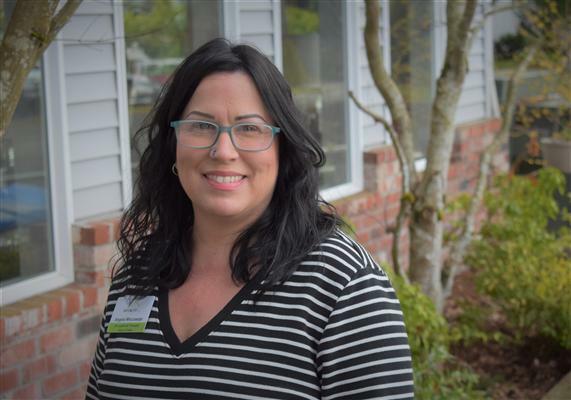 In October 2018, Audra joined the View Ridge Care Center team as its Administrator. Bringing with her nearly a decade of leadership experience in the skilled nursing facility setting, she is responsible for overseeing all facility operations, including monitoring its compliance with State and Federal regulations, leading staff and personnel management, monitoring financials and reporting, and addressing and resolving any conflicts or issues that pertain to the facility and its residents. 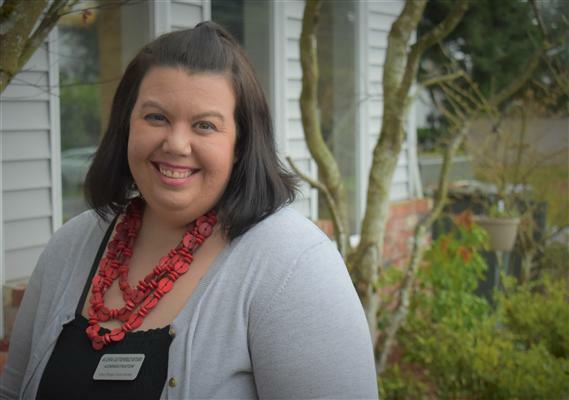 Audra received her Master’s in Business Administration with an Accounting focus from Washington State University and her Master’s in Psychology from the University of Phoenix. She holds her license in Nursing Home Administration. In her free-time, you can often find Audra enjoying wine tastings, day trips, and spending quality time with her family, including her husband, two daughters and one son. 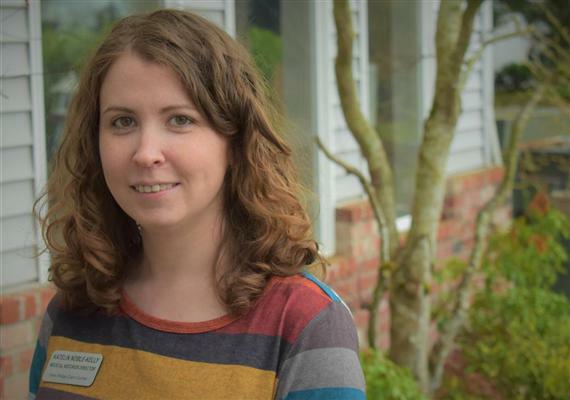 Chantelle joined the View Ridge care team in February 2018 as its Resident Care Manager. She transitioned into the Director of Nursing Services position in late 2018. In this capacity, she is responsible for overseeing the facility’s nursing staff, which includes approximately 50 licensed nurses and certified nursing assistants, while maintaining the quality standards of care in accordance with current Federal and State guidelines and regulations. Daily duties include conducting assessments of each resident’s unique care plan, collaborating with the facility’s nursing and therapy teams to ensure that internal standards of compassionate, effective, and patient-centered care are also met. 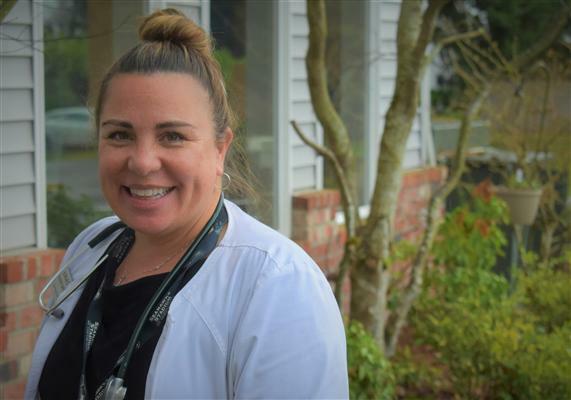 Prior to her arrival, she was an RN at another skilled nursing facility as well as a RN in the Inpatient Psychiatric Unit at Seattle Children’s Hospital. 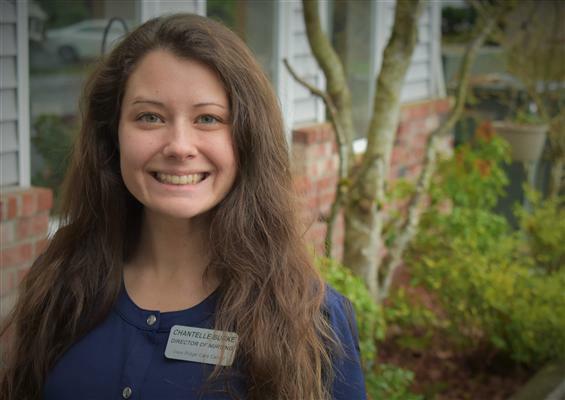 Chantelle holds a Bachelor of Science in Nursing (BSN) and minor in Psychology. In her free-time, Chantelle enjoys longboarding, hot-tubbing, and going on walks with her significant other and two dogs, Beau and Maggie. She has a loving family, including parents, a younger brother, and two younger sisters, one of which is also a nurse and attended school together with Chantelle. David came to View Ridge Care Center as its Resident Care Manager in May 2017, bringing with him seven years of RCM experience at another facility. In the role of RCM, his primary responsibilities are to oversee all patient care by implementing care plans and orders for patient care, as well as the admissions and discharge process for all residents. 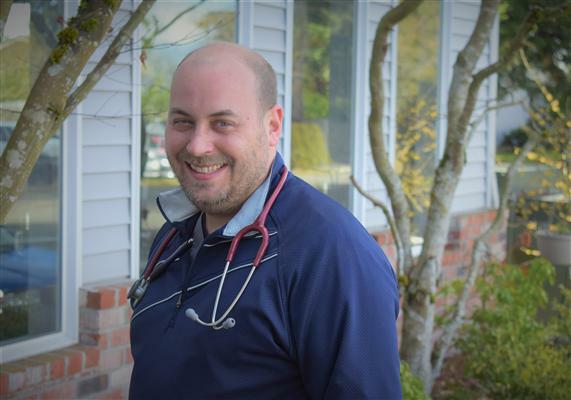 David received his LPN from Lake Washington Technical College. In his free-time, you can catch David golfing, bowling, or playing sports in general. He is married with four children; three girls and one boy. Hope joined View Ridge Care Center as its Activities Director in April 2016. In this capacity, she is responsible for managing and coordinating all facility and community-related enrichment activities for the residents. Prior to joining the View Ridge team, Hope gained valuable experience as a Product Development and Sourcing Manager. She holds a Master’s in Business Administration. In her free-time, Hope enjoys traveling, swimming, and being around people. She lives with her lovely husband and cat. 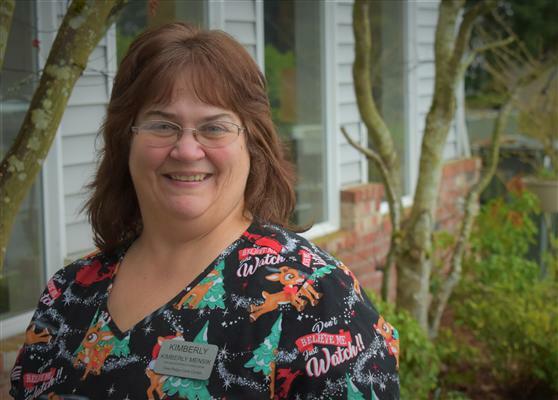 Having previously been employed at View Ridge Care Center, Mindy returned to the skilled nursing facility in the capacity of Business Office Manager in January 2019, bringing with her fine-tuned expertise and knowledge. As the facility’s Business Office Manager, Mindy’s primary responsibilities are insurance billing, deposits, checkbook reconciliation, and collections. She also oversees weekday and weekend receptionist and human resources functions. 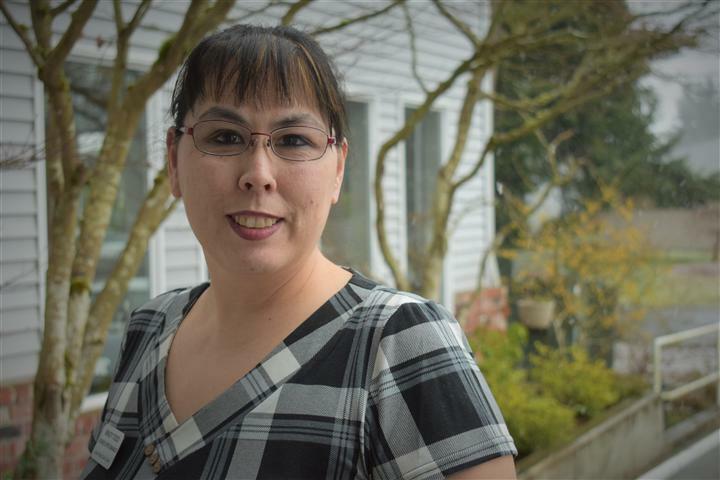 Mindy has her Billing and Coding Specialist certificate from Everett Community College and is a certified medical coder with AAPC CPC certification. When she’s not at work, you can often find Mindy learning new things and bowling. She is married to her wonderful husband, Andy, and has two sons, Andrew and Jacob. She is also “mama” to two dogs, Tank and Bailey. Sharon joined the View Ridge Care Center team as its Staffing Coordinator in December 2008. In this capacity, she is responsible for the staffing of caregivers in accordance with the Federally-mandated patient-to-caregiver ratio guidelines. Prior to her arrival, she gained valuable experience as a Staffing Specialist at nearby Providence Regional Hospital. Sharon maintains two Bachelor of Science degrees; in Nursing and Accountancy. In her free-time, Sharon enjoys photography and taking road trips in nature. She resides with her husband, Richard, and daughter, Paula. For more than 26 years, Kimberly has managed the housekeeping and laundry services for View Ridge Care Center as its Housekeeping / Laundry Supervisor. She takes great pride in the management of both departments, making sure the facility floors are always well kept, rooms and public spaces are sanitary and tidy, and that Central Supply is properly stocked. View Ridge Care Center is where Kimberly calls her professional home. She is valued by her colleagues and the residents to come through the facility, either short-term or longer. In her free-time, Kimberly enjoys the great outdoors, spending time with her family, going on adventures, and working on crafts. She is married to her husband, Shane, and has two kids, Misty and Jimmy, as well as two step-kids, Bambi and Anthony, and six grandchildren. Melissa joined the View Ridge Care Team in August 2017 as its Director of Social Services bringing with her nearly two decades of professional experience in case management. In this capacity, she advocates for each resident to ensure they receive the highest quality of life possible while residing in the View Ridge community. 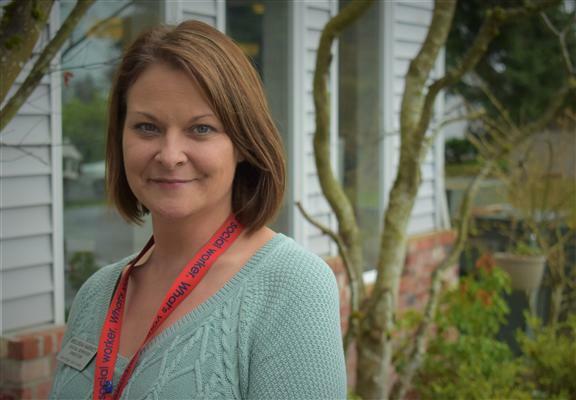 Melissa gained valuable experience as the Case Manager for the Chronically Homeless and Dual Diagnosed prior to her arrival, making her an asset to the residents and management team at View Ridge. She holds multiple degrees, including those in Behavioral & Social Services, Administration of Justice, and Pre-Law, as well as a paralegal certification. 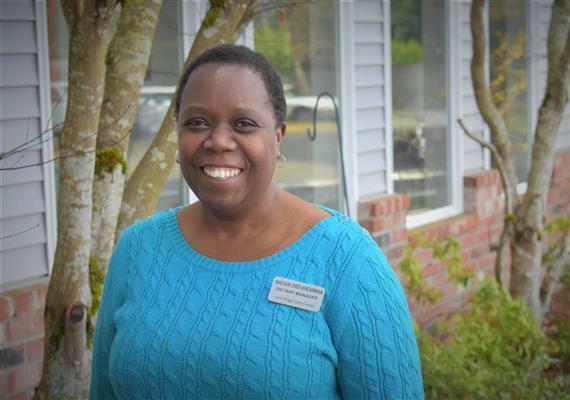 When Melissa is not championing for the residents of View Ridge, she enjoys spending time at the ocean, watching old movies, looking at classic cars, and photography. She also enjoys advocacy for the under-represented. Melissa resides happily with her partner, Nick, of 13 years. She has a son, two daughters, a step-son, step-daughter, and 10 amazing grandchildren. 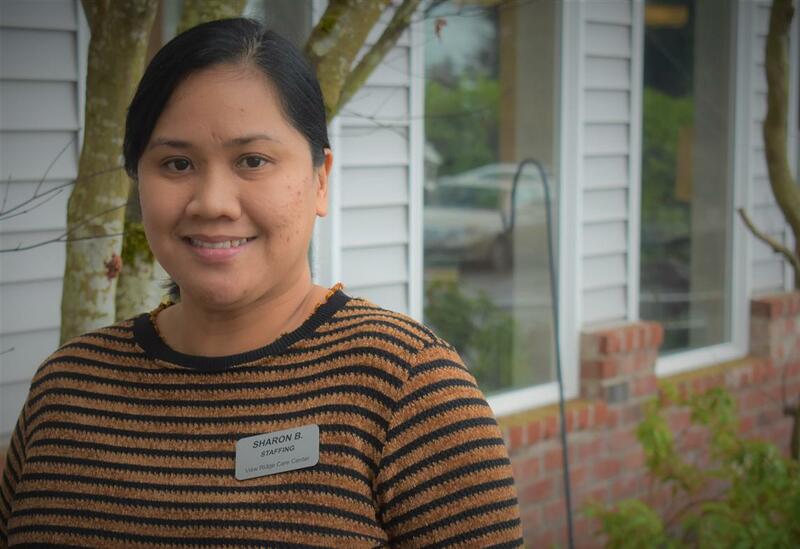 Sonja came to View Ridge Care Center as its Resident Care Manager for the 2nd floor in November 2018. In this capacity, her primary responsibilities are to oversee all patient care by implementing care plans and orders for patient care, as well as the admissions and discharge process for all 2nd floor residents. Sonja received her LPN from Highline Community College. 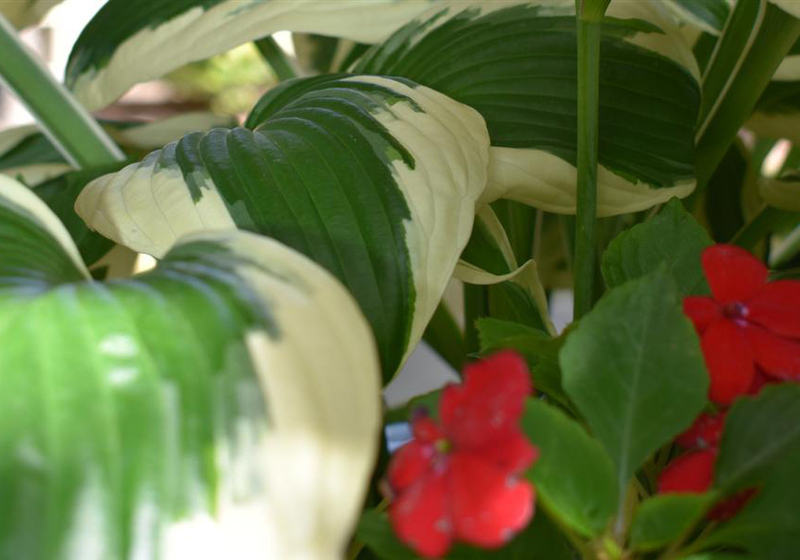 In her free-time, Sonja enjoys spending time with her friends and decorating her new home. 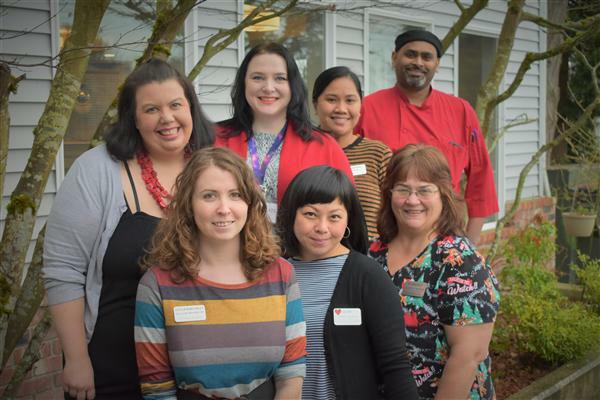 Bringing with her nearly two decades of food service expertise, Shevan joined the team at View Ridge Care Center as its Dietary Manager in March 2019. In this capacity, she oversees the daily operation of the Dietary department, making sure that all Dietary supplies are available, while also managing her team’s payroll, scheduling, hiring, and ongoing Dietary staff training. Shevan has previous experience as a Food Service Director at another nursing facility. She maintains credentials as a Certified Dietary Manager and has ServSafe Proctor and culinary school certificates. In her free-time, Shevan enjoys outdoor activities and Religious Kingdom preaching. She has two children, a mother, and three brothers that reside in Washington State and another brother in New York. Since January 2018, Katelin has overseen the organization and filing of View Ridge Care Center’s resident medical records as its Medical Records Director. Also assisting with the building’s Admissions, she is responsible for providing clinical updates to insurance providers and Medicare. Prior to transitioning into this role, Katelin provided View Ridge residents with exceptional nursing care as a Certified Nursing Assistant. Katelin maintains a Bachelor of Science degree in Biology. When she is not at work, you can often find Katelin camping, knitting, teaching archery and boating to Scouts. She lives happily with her husband, Thompson. Please feel free to reach out with any questions at (425) 258-4474. We understand this journey can be overwhelming and, at times, challenging. We are happy to assist you along the way.